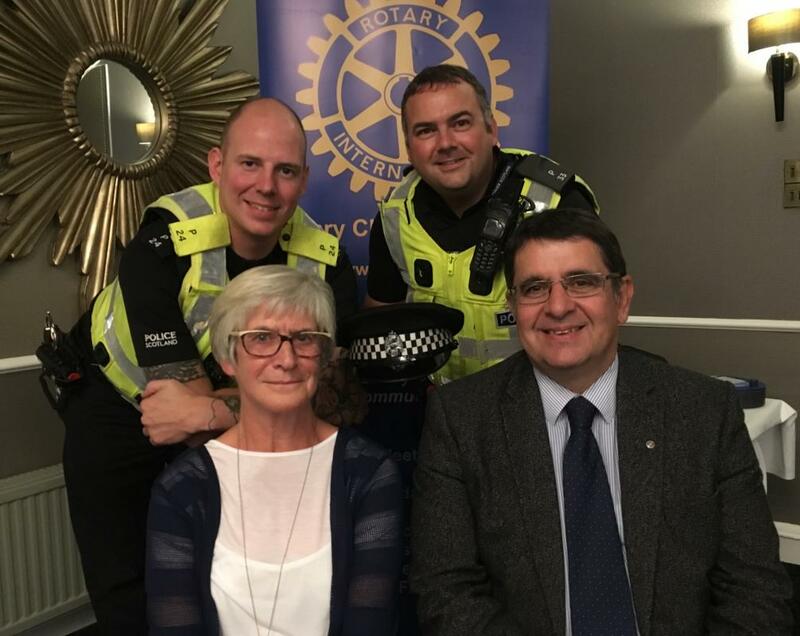 A very informative talk was given by PC Stewart Paton, ably supported by PC Scott Morgan. Their Policing area extends from Crossford to Duloch. Within their remit, they interact with Primary and Secondary Schools, parents, Social Work Departments, vulnerable adults, the general public (Your View Counts), and the elderly. They believe in early intervention and they have initiated various projects. Stop Hate . Victims of hate in schools , with the help of the community produced a video - Youth to Youth - which was shown in the Odeon Cinema. The importance of ownership was tantamount in these projects. Questions were asked after the talk which led to further discussion.